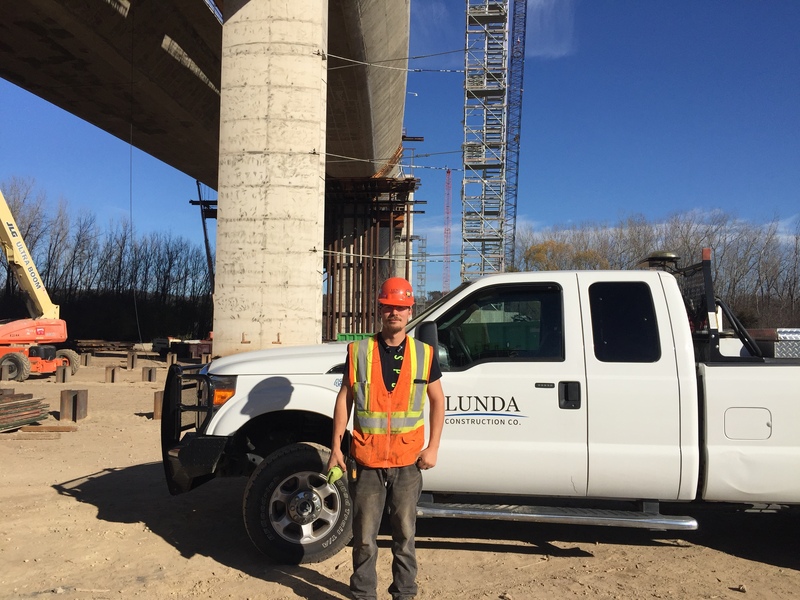 Local 49 member, Russell Rask of Gilbert, MN, has been a part of the Operating Engineers Local 49 Apprenticeship Program for a year, and will shortly begin Phase II of the program. While an unfortunate event brought Rask to the Training Center, he now says this has been a positive experience. “I got laid off in the mines up there…I was working at U.S. Steel Minntac, but I had been talking with Dan Snidarich (Local 49 Virginia Business Agent) for a while, and he told me he would help me get into the apprenticeship program,” Rask explained. Rask said that he had previous experience operating heavy equipment, so that had helped him transition well into the apprenticeship program. Rask said that he has been everywhere from building mines up on the Iron Range, to operating pile-drivers in Wayzata to now working on the St. Croix Crossing Bridge project for Lunda Construction Co. While Rask may be a new member of Local 49, he said he’s no stranger to heavy equipment. “I’ve been around heavy equipment all my life…changing tires and stuff, but I guess this is the first time I’ve been actually running the equipment,” he said. “It’s actually been quite nice being the one sitting in the driver’s seat instead of the one wrenchin’ on them all the time,” he laughed. Rask said that the Training he received has been great, and is eager to continue training this winter. “I’ll go back here in February and start Phase II of the program, hopefully I’ll be able to get as much class time as I can,” Rask said. Rask said the classes he has signed up for range from small equipment operation to tower crane classes. He is also looking forward to receive training from a former co-worker, Ryan O’Gary, who has recently been hired as a new instructor at the Local 49 Training Center. “I’m happy to train with him in Phase II since I previously worked with him at Lunda,” Rask said. For more information on the Operating Engineers Local 49 Apprenticeship Program please visit www.local49training.org.